Global Internet Could Crash In Next 48 Hours - "Outage Across The World"
The Internet Corporation of Assigned Names and Numbers (ICANN), which oversees the registry of domain names and IP addresses, is planning to perform a Root Zone Domain Name System Security Extensions (DNSSEC) KSKS rollover on Thursday. "Rolling the KSK means generating new cryptographic public and private key pair and distributing the new public component to parties who operate validating resolvers, including: Internet Service Providers; enterprise network administrators and other Domain Name System (DNS) resolver operators; DNS resolver software developers; system integrators; and hardware and software distributors who install or ship the root's "trust anchor." The KSK is used to cryptographically sign the Zone Signing Key (ZSK), which is used by the Root Zone Maintainer to DNSSEC-sign the root zone of the Internet's DNS. The KSK rollover plans were developed by the Zoot Zone Management Partners; ICANN in its role as the IANA Functions Operators, Verisign as the Root Zone Maintainer, and the US Department of Commerce's National Telecommunications and Information Administration (NTIA) as the root zone," said ICANN. 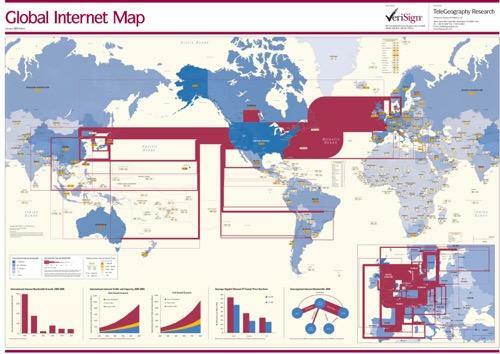 Within the next 48-hours, internet users around the world are at risk for network connection failures as the main domain servers and related infrastructure controlling the internet will be powered down for some time, warned the Russian Times. The Communications Regulatory Authority (CRA) of Qatar has cautioned its public in a memo against misleading information circulating on Facebook about an alleged "two-day Internet outage across the world." This is a significant move to ensure a secure, stable, and resilient DNS, the CRA memo said. "To further clarify, some Internet users might be affected if their network operators or Internet Service Providers (ISPs) have not prepared for this change. However, this impact can be avoided by enabling the appropriate system security extensions," it continued. CRA stressed domains such as .qa domains, .gov.qa, .org.qa, .com.qa ect., will not be affected in the rollover. However, most governments around the world have been quiet about the potential disruption. An analyst from the Mobile Research Group Eldar Murtazin told Russian Times that internet users might face disruptions into Friday. There may be problems with access to some resources, and slow loading of internet pages. Some users may have problems with access to the network if they use an outdated provided. Preliminary tests show that the rollover would create minimal problems, but that is not guaranteed. Arseny Shcheltsin, a specialist in digital economics, said there is nothing to fear since the main software has already been updated. Shcheltsin said the procedure for changing cryptographic keys has become necessary due to the rising threat of bad state actors attacking the internet's core. The threat of global internet crashing is coming at the same time stock markets around the world are collapsing. All this is happening less than a month before the US midterm election. Storm clouds are gathering.